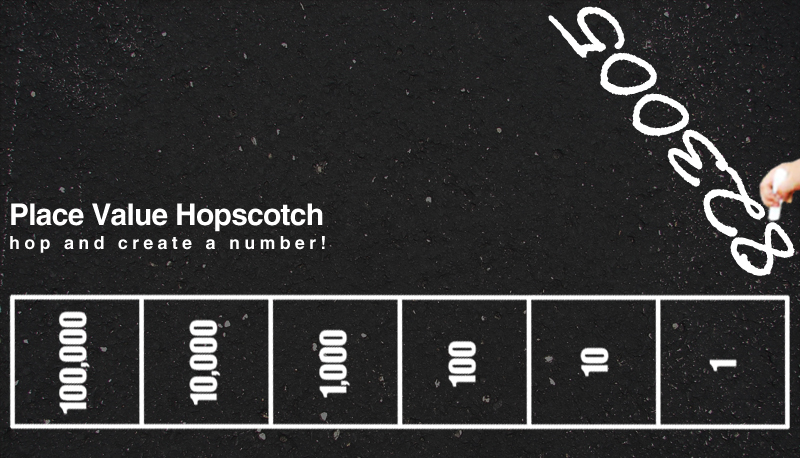 Create a place value hopscotch with sidewalk chalk! (You can include higher values or decimals as well). One player hops and the other watches and figures out the number. The other player must watch closely, so he can figure out the number. Then, he writes the numeral on the pavement. After kids take turns hopping a couple times, have them compare the numerals they made. Which number is the largest? Who created the smallest number? Can they point out the odd and even numbers they created?